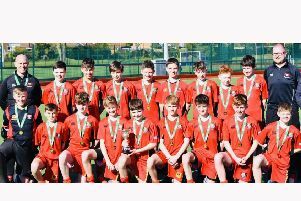 Banbridge Academy students have secured landmark silverware following a first-ever John Waring Cup triumph. 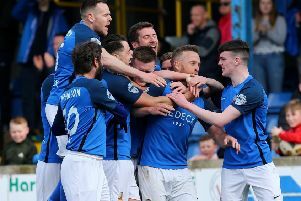 Warrenpoint Town boss Stephen McDonnell is wary of letting eight days to forget define the club’s nine-month campaign. 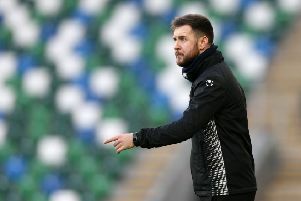 Glenavon boss Gary Hamilton is banking on benefits from Saturday’s dramatic injury-time defeat of defending league champions Crusaders beyond the immediate reward. 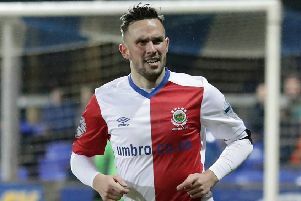 Linfield - with this season’s league title one point away - have confirmed a significant double boost towards future glory by securing contract extensions for Andy Waterworth and Mark Stafford. 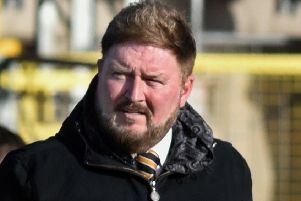 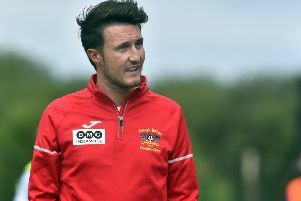 Carrick Rangers boss Niall Currie wants the club’s fans and players to dare to dream of reaching greater heights together. 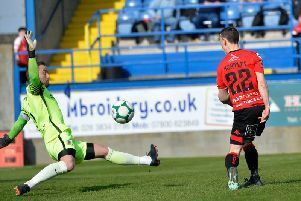 Scarva’s Olivia Mehaffey finished her landmark appearance at Augusta in a share of 23rd place. 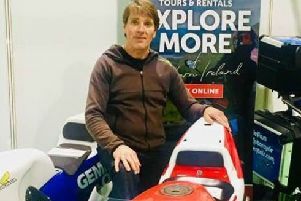 Woolsey Coulter was back in the saddle and back on the winner’s podium recently but, for the first time in a motorcycling career stretching back to the 1980s, the result proved “irrelevant”. 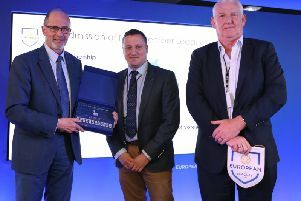 Northern Ireland Football League officials recently returned from Portugal following confirmation of NIFL entering into an association with many of the global game's leading competitions. 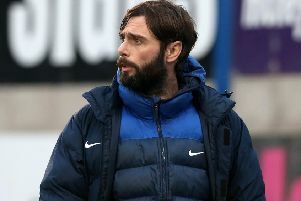 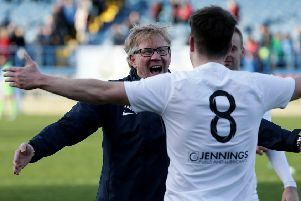 In pursuit of European prize money to enhance next season’s squad, Glenavon boss Gary Hamilton praised the strength and spirit of his players in sealing three vital points on Saturday that appeared unlikely with 88 minutes on the clock. 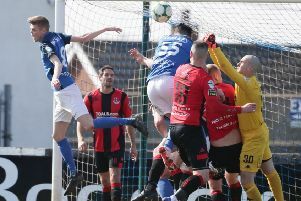 Goals on 89 and 94 minutes left Glenavon with full points in a thrilling 2-1 success over Crusaders at Mourneview Park. 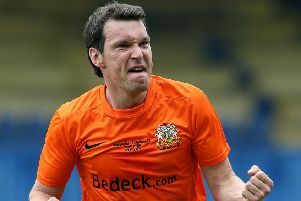 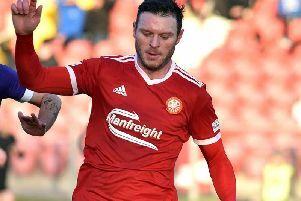 Sammy Clingan was drafted into the starting line-up due to Andrew Mitchell’s warm-up injury but proved the Glenavon hero with an injury-time penalty kick. 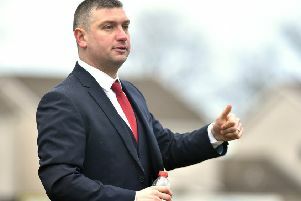 Ballinamallard United chairman Tom Elliott admits the club’s volunteers have been “squeezing in every second” leading up to the landmark Irish Cup final - and loving every minute of the dream adventure. 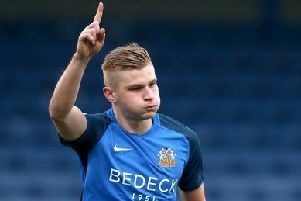 Glenavon boss Gary Hamilton has challenged star striker Andrew Mitchell to become established as the Irish League’s top gun. 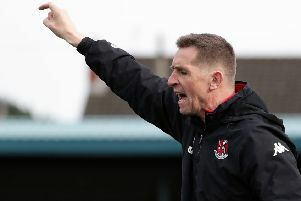 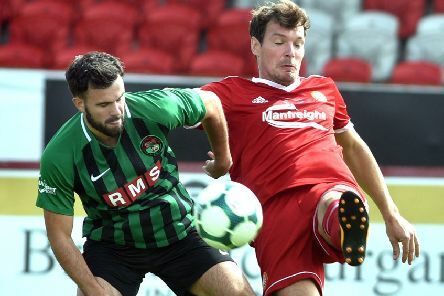 Crusaders’ defence of the Danske Bank Premiership title will end in disappointment but manager Stephen Baxter maintains this current campaign could prove crucial towards future glory.